UK Income From Its Offshore Disclosure Facilities | Kluwer International Tax Blog. In 2011, HMRC forecast that it would receive “billions” from the Swiss Disclosure Facility. 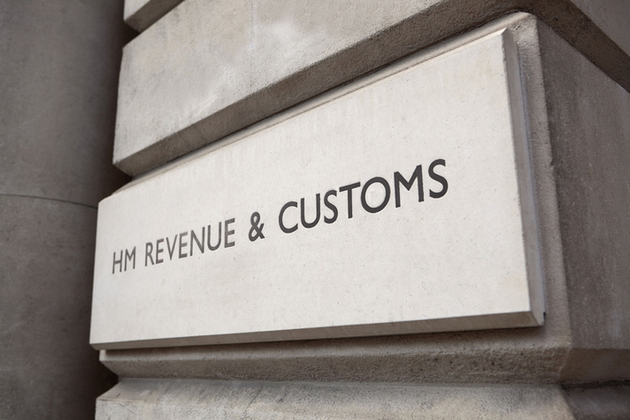 In 2012, HMRC stated that this number would be five billion sterling, and another three billion sterling from the Liechtenstein Disclosure Facility (LDF). This implies that at least a couple hundred thousand United Kingdom tax residents are non tax compliant through not disclosing income and income-producing assets overseas, in offshore countries. So what have the results been? What are the future results likely to be? Read Byrnes and Perryman at UK Income From Its Offshore Disclosure Facilities | Kluwer International Tax Blog. PREVENTING THE MISUSE OF CORPORATE VEHICLES … read on at International Financial Law Prof Blog. Why couldn’t the SEC forewarn investors that it was about to suspend trading in a stock? The SEC cannot announce that it’s working on a suspension. We conduct this work confidentially to maintain the effectiveness of any related investigation we may be conducting. Confidentiality also protects a company and its shareholders if the SEC ultimately decides not to issue a trading suspension. The SEC is mindful of the seriousness of suspensions, and carefully considers whether it is in the public interest and for the protection of investors to order a trading suspension. What happens when the ten business day suspension period ends? The SEC will not comment publicly on the status of a company when the ten-day suspension period ends because the company may still have serious legal problems. For instance, the SEC may continue to investigate a company to determine whether it has defrauded investors. The public would not know if the SEC is continuing its investigation unless the SEC publicly announces an enforcement action against the company. Furthermore, when an SEC trading suspension ends, a broker-dealer generally may not solicit investors to buy or sell the previously-suspended over-the-counter (“OTC”) stock until certain requirements are met. Before soliciting quotations or resuming quotations in an OTC stock that has been subject to a trading suspension, a broker-dealer must file a Form 211 with the Financial Industry Regulatory Authority (“FINRA”) representing that it has satisfied all applicable requirements, including those of Rule 15c2-11 and FINRA Rule 6432.
the company’s most recent balance sheet and its profit and loss and retained earnings statement. No broker-dealer may solicit or recommend that an investor buy an OTC stock that has been subject to a trading suspension unless and until FINRA has approved a Form 211 relating to the stock. If there are continuing regulatory concerns about the company, its disclosures, or other factors, such as a pending regulatory investigation, a Form 211 application may not be approved. However, limited or “unsolicited” trading can occur in an OTC stock that has been subject to a trading suspension after the suspension ends but before a Form 211 is approved. This may allow investors to trade the stock when a broker or adviser has not solicited or recommended such a transaction. Even though such trading is allowed, it can be very risky for investors without current and reliable information about the company. Will trading automatically resume after ten days? It depends on the market where the stock trades. Different rules apply in different markets. For stocks that quote in the OTC market (which includes stocks quoted on the Bulletin Board and OTC Link (f/k/a Pink Sheets)), quoting doesnot automatically resume when a ten-day suspension ends. Before OTC stock quoting can resume after a suspension period, SEC regulations require a broker-dealer to review specific information about the company in accordance with Exchange Act Rule 15c2-11 and FINRA Rule 6432. 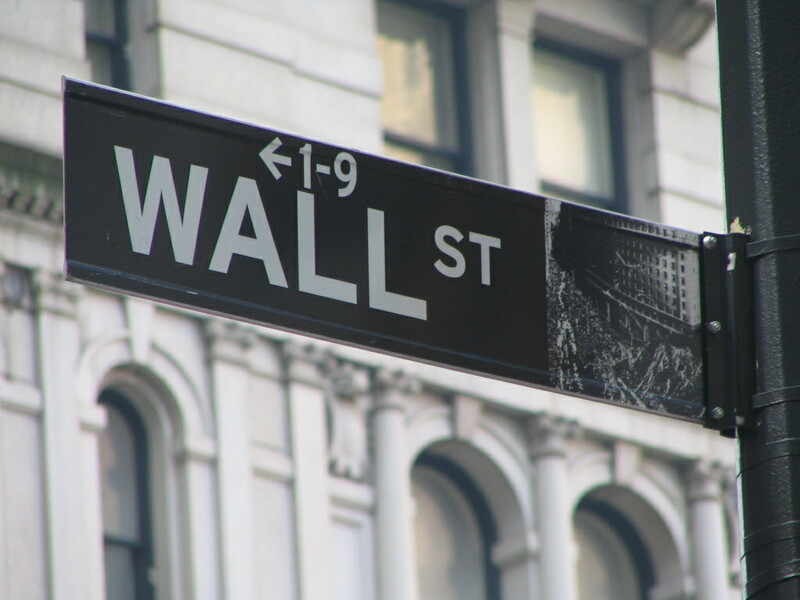 If a broker-dealer does not have confidence that a company’s financial statements are reasonably current and accurate in all material respects, especially in light of the questions that may have been raised by the SEC suspension action, then a broker-dealer may not publish a quote for the company’s stock. The OTC markets function through dealer systems where only broker-dealers may quote and facilitate trading in OTC stocks. In contrast to stocks that trade in the OTC market, stocks that trade on an exchange resume trading as soon as an SEC suspension ends. If the suspended stock resumes trading, why is it trading at a much lower price? The trading suspension may raise serious questions and cast doubts about the company in the minds of investors. While some investors may be willing to buy the company’s stock, they will do so only at significantly lower prices. Take precautions following an SEC trading suspension: check for reliable information. Investors should be very cautious in considering an investment in a stock following a trading suspension. At the very least, investors should assure themselves that they have current and reliable information about a company before investing. Research the Company: Always research a company before buying its stock, especially following a trading suspension. Consider the company’s finances, organization, and business prospects. This type of information often is included in filings that a company makes with the SEC. 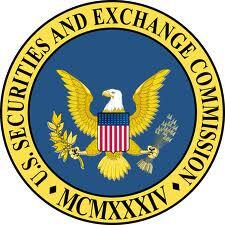 Review the Company’s SEC Filings: This information is free and can be found on the Commission’s EDGAR filing system. Some companies are not required to file reports with the SEC. These are known as “non-reporting” companies. Investors should be aware of the risks of trading the stock of such companies, as there may not be current and accurate information that would allow investors to make an informed investment decision. If current, reliable information about a company and its stock is not available, investors should consider seriously whether this may be a good investment. Why would the SEC suspend trading of a stock when it knows that such action will hurt current shareholders? The SEC suspends trading in a security when it is of the opinion that the suspension is required in the public interest and to protect investors. Because a suspension often causes a dramatic decline in the price of the security, the SEC suspends trading only when it believes that the public may be making investment decisions based on a lack of information, or false or misleading information. A suspension may prevent potential investors from being victimized by a fraud. How can investors find out if the stock will trade again after a suspension? Investors can contact the broker-dealer who sold you the stock or a broker-dealer who quoted the stock before the suspension. Ask the broker-dealer if it intends to resume publishing a quote in the company’s stock. If there is no market to sell my security, what can investors do with their shares? If there is no market to trade the shares, they may be worthless. Investors may want to contact their financial or tax advisers to determine how to treat such a loss on their tax returns. What can investors do if the company acted wrongfully and they have lost money? If investors want to get their money back, they will need to consider taking legal action on their own. The SEC cannot act as their lawyer. Investors must pursue all of their legal remedies themselves or with the assistance of legal counsel they engage themselves. For more information about how to protect your legal rights, including finding a lawyer who specializes in securities law, read our flyer, How the SEC Handles Your Complaint or Inquiry. To learn how to file an arbitration action against a broker-dealer, investors can contact the Director of Arbitration at FINRA. FINRA also offers mediation as an option before going to arbitration. Where can investors get information about trading suspensions? Investors can find a list of companies whose stocks have been suspended by the SEC since October 1995 on our website. The Bank marketed the “PAYS Plan,” a payment protection credit card add-on product that was sold from 2008 to 2013 to consumers who had a Bank credit card. The PAYS Plan provided a benefit payment towards a consumer’s monthly credit card payment following certain life events such as involuntary unemployment, disability, and hospitalization. Segarra had made a series of audio recordings while at the New York Fed. Worried about what she was witnessing, Segarra wanted a record in case events were disputed. So she had purchased a tiny recorder at the Spy Store and began capturing what took place at Goldman and with her bosses. Benjamin M. Lawsky, Superintendent of Financial Services, announced July 17, 2014 that the New York State Department of Financial Services (DFS) has issued for public comment a proposed “BitLicense” regulatory framework for New York virtual currency businesses. The proposed regulatory framework – which is the product of a nearly year-long DFS inquiry, including public hearings that the Department held in January 2014 – contains consumer protection, anti-money laundering compliance, and cyber security rules tailored for virtual currency firms. The license is not requiredfor merchants or consumers that utilize Virtual Currency solely for the purchase or sale of goods or services; or those firms chartered under the New York Banking Law to conduct exchange services and are approved by DFS to engage in Virtual Currency business activity. Anti-money Laundering Compliance. 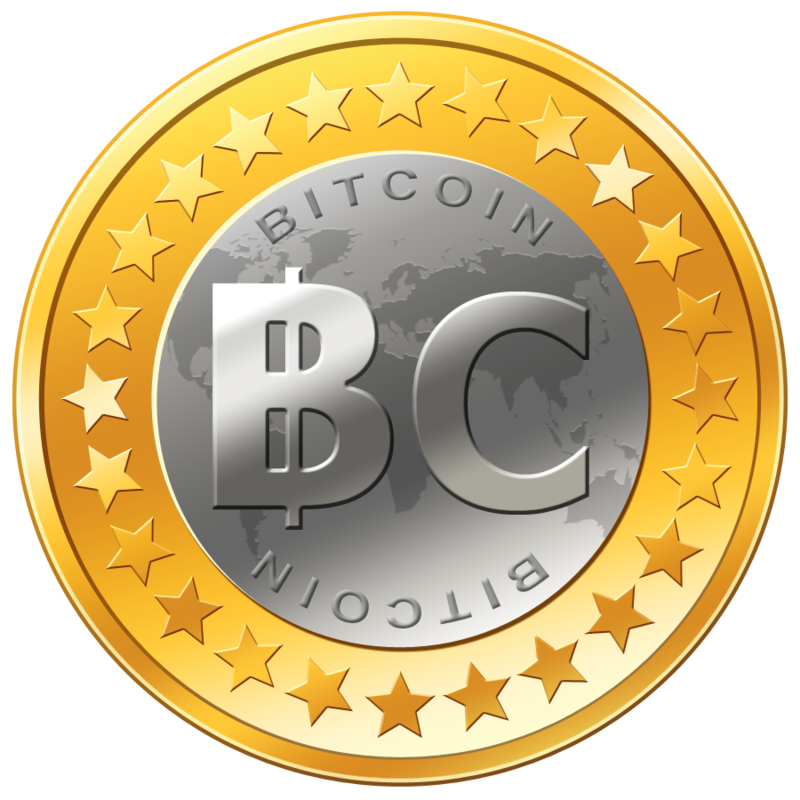 As part of its anti-money laundering compliance program, each firm shallmaintain the following information for all transactions involving the payment, receipt, exchange or conversion,purchase, sale, transfer, or transmission of Virtual Currency: (1) the identity and physical addresses of the parties involved; (2) the amount or value of the transaction, including in what denomination purchased, sold, or transferred, and the method of payment; (3) the date the transactionwas initiated and completed, and (4)a description of the transaction. Verification of Accountholders. Firms must, at a minimum, when opening accounts for customers, verify their identity, to the extent reasonable and practicable, maintain records of the information used to verify such identity, including name, physical address, and other identifying information, and check customers against the Specially Designated Nationals (“SDNs”) list maintained by the U.S. Treasury Department’s Office of Foreign Asset Control (“OFAC”). Enhanced due diligence may be required based on additional factors, such as for high-risk customers, high-volume accounts, or accounts on which a suspicious activity report has been filed. Firms are also subject to enhanced due diligence requirements for accounts involving foreign entities and a prohibition on accounts with foreign shell entities. Reporting of Suspected Fraud and Illicit Activity. Each Licensee shall monitor for transactions that might signify money laundering, tax evasion, or other illegal or criminal activity and notify the Department, in a manner prescribed by the superintendent, immediately upon detection of such a transactions. When a Licensee is involved in a transaction or series of transactions for the receipt, exchange or conversion, purchase, sale, transfer, or transmission of Virtual Currency, in an aggregate amount exceeding the United States dollar value of $10,000 in one day, by one Person, the Licensee shall also notify the Department, in a manner prescribed by the superintendent, within 24 hours. In meeting its reporting requirements Licensees must utilize an approved methodology when calculating the value of Virtual Currency in Fiat Currency. Notification of Emergencies or Disruptions.Each firm must promptly notify DFS of any emergency or other disruption to its operations that may affect its ability to fulfill regulatory obligations or that may have a significant adverse effect on the Licensee, its counterparties, or the market. O n July 14, 2014 the Securities and Exchange Commission (SEC) filed a public administrative and cease-and-desist proceedings against Ernst & Young (E&Y) for E&Y’s violation of audit independence conduct regarding legislative lobbying on behalf of its audit clients. The SEC public administrative and cease-and-desist proceedings against E&Y arose out of certain legislative advisory services provided by Washington Council EY (“WCEY”), which has been part of EY since 2000. Prior to 2009, certain conduct related to WCEY’s provision of legislative advisory services violated the independence rules with respect to two of EY’s SEC-registrant audit clients. WCEY sent letters urging passage of bills to congressional staff on behalf of one of its clients. These bills were important to this client’s business interests. WCEY also asked congressional staff to insert into a bill a provision favorable to this client. For another audit client, WCEY attempted to persuade congressional offices to withdraw their support for legislation detrimental to that client’s business interests. In addition, WCEY worked closely with congressional staff in drafting an alternative bill more favorable for the client. WCEY also marked up a draft of the alternative bill, inserting specific language written by the client and sent the mark-up to congressional staff. Despite providing the services described herein, E&Y repeatedly represented that it was “independent” in audit reports issued the clients’ financial statements. By doing so, E&Y violated Rule 2-02(b)(1) of Regulation S-X and caused the clients to violate Section 13(a) of the Exchange Act and Rule 13a-1. E&Y’s conduct also constituted improper professional conduct pursuant to Section 4C(a)(2) of the Exchange Act and Rule 102(e)(1)(ii) of the Commission’s Rules of Practice. On July 3, Sun Trust resolved the criminal investigation into its “Home Affordable Modification Program” (HAMP) by agreeing to pay $320 million. Less than a month ago, SunTrust Mortgage Inc. (SunTrust) entered into a $968 million consent judgment to address mortgage origination, servicing, and foreclosure abuses, announced the Justice Department, Department of Housing and Urban Development (HUD), and the Consumer Financial Protection Bureau (CFPB), along with 49 state attorneys general and the District of Columbia’s attorney general. The federal government launched HAMP as an opportunity for homeowners in dire straits to save their homes from foreclosure. However, SunTrust Mortgage, rather than assist homeowners in need, financially ruined many through an utter dereliction of its HAMP program. SunTrust Banks, Inc. received $4.85 billion in federal taxpayer funds through the U.S. Department of the Treasury Troubled Asset Relief Program (TARP) in 2008. Unwilling to put resources into HAMP despite holding billions in TARP funds, SunTrust simply placed piles of unopened homeowners’ HAMP applications and paperwork on an office floor until at one point, the floor buckled under the sheer weight of the document packages. Documents and paperwork were lost. SunTrust issued “mass denials” to HAMP applicants and lied to the Treasury Department about the reasons for the denials. SunTrust’s statements to customers were false. SunTrust improperly commenced foreclosure proceedings on homeowners in active HAMP trial periods, and some of those homeowners saw their homes listed by SunTrust for sale in local newspapers. Rather than reviewing HAMP applications in 20 days and rendering modification decisions within an “as advertised” three- to four-month trial period, in the worst cases, some homeowners were confined to extended trial periods of two or more years. SunTrust misreported current borrowers as delinquent to major credit bureaus. SunTrust denied HAMP modifications to eligible homeowners and instead placed the homeowners in alternative, private modifications that were less favorable to borrowers. SunTrust improperly capitalized amounts of interest onto borrowers’ unpaid principal balances. Other borrowers who were transferred from SunTrust to another servicer while on active HAMP trial modifications were penalized. SunTrust admitted that between January 2006 and March 2012, it originated and underwrote FHA-insured mortgages that did not meet FHA requirements, that it failed to carry out an effective quality control program to identify non-compliant loans, and that it failed to self-report to HUD even the defective loans it did identify. SunTrust also admitted that numerous audits and other documents disseminated to its management between 2009 and 2012 described significant flaws and inadequacies in SunTrust’s origination, underwriting, and quality control processes, and notified SunTrust management that as many as 50% or more of SunTrust’s FHA-insured mortgages did not comply with FHA requirements. SunTrust failed to promptly and accurately apply payments made by borrowers, and charged unauthorized fees for default-related services. SunTrust failed to provide accurate information about loan modification and other loss-mitigation services, failed to properly process borrowers’ applications and calculate their eligibility for loan modifications, and provided false or misleading reasons for denying loan modifications. Engaged in illegal foreclosure practices by providing false or misleading information to consumers about the status of foreclosure proceedings where the borrower was in good faith actively pursuing a loss mitigation alternative also offered by SunTrust. SunTrust robo-signed foreclosure documents, including preparing and filing affidavits whose signers had not actually reviewed any information to verify the claims. Read about the $968 million consent judgment at CFSB and DOJ. Read about the $320 million non-prosecution agreement at SIGTARP. “Now while the 2012 OVDP and its predecessors have operated successfully, we are currently considering making further program modifications to accomplish even more. We are considering whether our voluntary programs have been too focused on those willfully evading their tax obligations and are not accommodating enough to others who don’t necessarily need protection from criminal prosecution because their compliance failures have been of the non-willful variety. For example, we are well aware that there are many U.S. citizens who have resided abroad for many years, perhaps even the vast majority of their lives. We have been considering whether these individuals should have an opportunity to come into compliance that doesn’t involve the type of penalties that are appropriate for U.S.-resident taxpayers who were willfully hiding their investments overseas. We are also aware that there may be U.S.-resident taxpayers with unreported offshore accounts whose prior non-compliance clearly did not constitute willful tax evasion but who, to date, have not had a clear way of coming into compliance that doesn’t involve the threat of substantial penalties. According to the GAO Reports and the Senate Subcommittee report, the 2008, 2011, and the ongoing 2012 offshore voluntary disclosure initiative (OVDI) have led to 43,000 taxpayers paying back taxes, interest and penalties totaling $6 billion to date, with more expected. However, the vast majority of this recovered $6 billion is not tax revenue but instead results from the FBAR penalties (anti money laundering financial reporting form sent by June 30 to FINCEN, separate from the 1040 tax filing to the IRS sent by April 15) assessed for not reporting a foreign account. 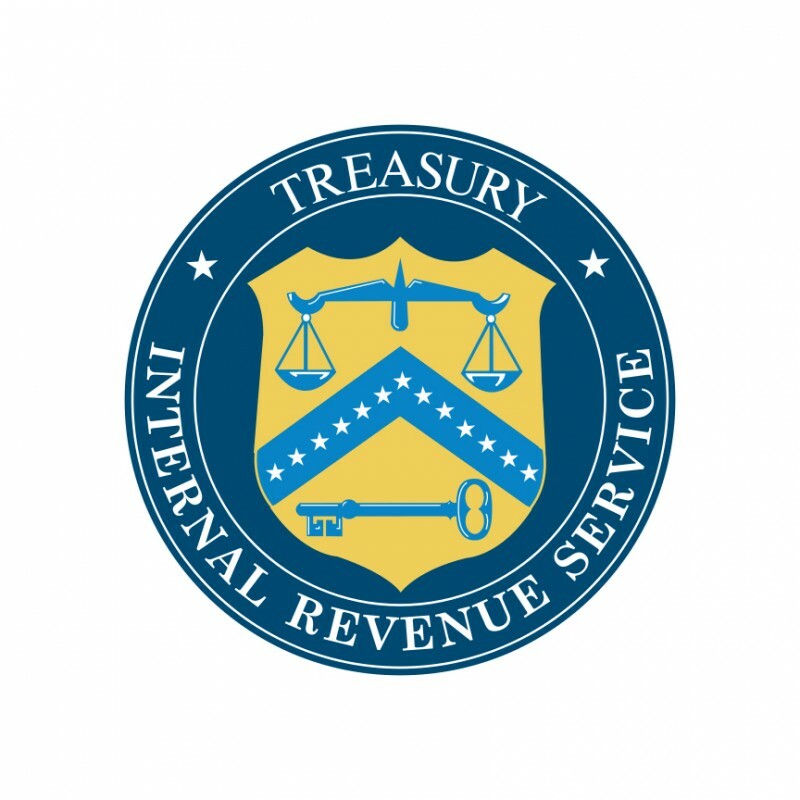 The Taxpayer Advocatefound that for noncompliant taxpayers with small accounts, the FBAR and tax penalties reached nearly 600% of the actual tax due! The median offshore penalty was about 381% of the additional tax assessed for taxpayers with median-sized account balances. “For example, assume the taxpayer has the following amounts in a foreign account over the period covered by his voluntary disclosure. It is assumed for purposes of the example that the $1,000,000 was in the account before 2003 and was not unreported income in 2003. An additional penalty, in lieu of the FBAR and other potential penalties that may apply, of $385,000 (i.e., $1,400,000 x 27.5%). The IRS example to enter the OVDP has 75% of the OVDP collection amount from the FBAR penalty. The FBAR penalty is 2.75 larger than the tax due. But not entering leads to owing an amount four times the account value. Thus, judged by the amount of tax funds recovered, the OVDP has substantially underperformed to date. But by leveraging a taxpayer’s lack of compliance with the non-tax FBAR, the OVDP and IRS civil prosecutions appear to meet performance goals of raising revenue and obtaining overall tax compliance for US persons with foreign accounts and/or residing abroad. Or do they? Have These Initiatives Increased Taxpayer Compliance? The Taxpayer Advocate, replying on State Department statistics, cited that 7.6 million U.S. citizens reside abroad and many more U.S. residents have FBAR filing requirements, yet the IRS received only 807,040 FBAR submissions as recently as 2012. The Taxpayer Advocate noted that in Mexico alone, more than one million U.S. citizens reside, and many Mexican citizens reside in the U.S. (and thus are required to file a FBAR for any Mexican accounts of $10,000 or greater). Moreover, Non-Resident Aliens (NRAs) must file a FBAR as well. Thus, all the initiatives to date have produced a compliance rate below 10% compliance. Sounds more like the War on Drugs rather than a drive to increase tax compliance. This is not to say that obtaining a highly level of compliance with the tax law, like compliance with the drug laws and DUI laws, is not a public good in itself – such tax compliance is a public good that the public has chosen, via Congress (and its investigatory hearings), for resource allocation. But like the War on Drugs, there are many potential strategies to bring about compliance. The ones used to date just haven’t worked very well, and caused more problems (the War on Drugs has led to one of the highest rates of imprisonment of the world, that some have called a scorched earth policy against young male minorities in particular). Have These Initiatives Met the Tax Collection Goals? It is proven beyond a doubt by the UBS, Credit Suisse, and other similar investigations, validated by the OVDI disclosures, that some Americans are noncompliant, and that some of those noncompliant Americans would owe tax if disclosing foreign income on their tax returns. There is also no doubt that the total number of noncompliant Americans between 2008 and 2013 was more than the 43,000 who were brought in from the wilderness. There is also no doubt that the tax that would have been collected from these noncompliant taxpayers had they been compliant during their time in the wilderness is in fact, relative to the reported figure of $150 billion lost annually, miniscule (somewhere probably between $300 million and $500 million a year for lost tax (recalling the majority of the $6 billion collected representing FBAR penalties, tax penalties, and interest). To date, of the $150 billion referred to as lost a year to offshore schemes, only approximately .003% (a third of one percent) has been collected – and that assuming the higher number of $500 million a year. Not a good result by any measure. And not going to dent the annual $450B – $500B deficit (not including unfunded liabilities). Are More Than 90% of Taxpayers with Foreign Accounts Tax Evaders? The Taxpayer Advocate, relying on State Department statistics, cited that 7.6 million U.S. citizens reside abroad. Most are required to file a FBAR. The Taxpayer Advocate noted that in Mexico alone, more than one million U.S. citizens reside, and many Mexican citizens reside in the U.S. (and thus are required to file a FBAR for any Mexican accounts of $10,000 or greater). Many more U.S. residents have FBAR filing requirements because of having signatory, control, or ownership of an overseas account. The Department of Homeland Security reported in Population Estimates (July 2013) that an estimated 13.3 million LPRs lived in the United States as of January 1, 2012, some of who will have FBAR filing requirements. For 2011, approximately four million individual returns included foreign source income and 450,000 included the Foreign Earned Income Exclusion. Yet the IRS received only 807,040 FBAR submissions as recently as 2012. Based on these numbers, more than 90% of taxpayers with foreign accounts are NOT compliant with the FBAR filing requirement. Add it up: 7.6 million Americans abroad, 13.3 LPRs in the USA, at least 1 million NRAs in the US, and some number of American citizens in the US with foreign accounts. Must equal at least 10 million taxpayers that should be filing the FBAR. The IRS has stated that a substantial number of US taxpayers living abroad do not file tax returns at all. The IRS reports that 87% of American residing taxpayers are tax compliant. So the remaining 13% … statistically speaking, being an American residing in America and having a foreign account is indicative of tax evasion, especially if FBAR is considered a “tax” compliance obligation (which it is not).